A sustainability professional must be able to impart cooperation in sustainable programs within a business. As a Certified Sustainability Specialist (CSS), your role will be to organize and analyze sustainability strategies using knowledge and informed opinions on the future of energy and the lasting impacts energy has on the economy, health, and the environment. Sustainability Professionals are in high-demand as are many new jobs in this rapidly growing area of Green Professionals. 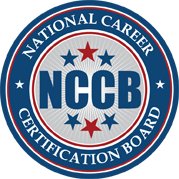 Successful attainment of the National Career Certification Board’s (NCCB) Certified Sustainability Specialist (CSS) will enable people to set themselves apart, by earning the professional credentials needed to lead companies in implementing and maintaining sustainable business strategies. The benefits to becoming a Certified Sustainability Specialist (CSS) may include more job opportunities, higher wages, and increased job security.